A beautiful 700 year old former coaching inn steeped in history, the Wellington now boasts six sumptuous bedrooms as well as award winning food and service. AA 5 Star Inn. AA Rosette for Food. This beautifully refurbished 17th century coaching inn offers luxury accommodation and dining of an exceptional quality in a friendly and relaxing atmosphere, with good access to the A1(M) and a 20-minute train or car journey from London. 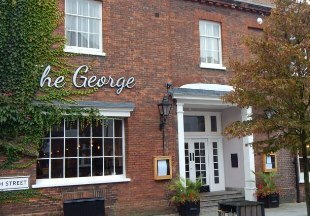 Lovingly renovated in 2013, the 15th century George at Baldock boasts twelve stylish en-suite bedrooms and is situated in the historic market town of Baldock, just 40 minutes by train from central London. Originally a row of workers' cottages, this classic country inn is set in the lovely village of Bayford, just 10 minutes drive from Hertford. The inn boasts a pretty garden, perfect for a drink or meal al fresco on those long summer days. 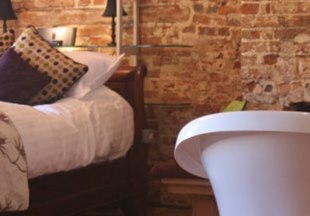 The 17th century Kings Arms has been given a 21st century twist with boutique en-suite rooms that offer a harmonious blend of the historic and contemporary. The restaurant boasts an open plan charcoal grill whilst the stylish bar and lounge are perfect for relaxing before or after a meal. 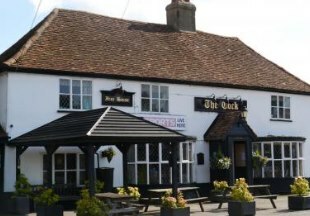 Situated just a short distance from Stansted Airport, this friendly village inn was built in the 17th century. Our restaurant offers a wide choice of homemade dishes and the traditional bar has a warm and relaxing atmosphere. 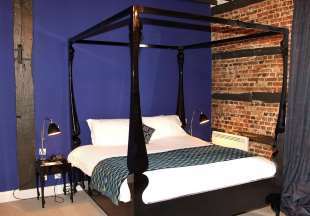 The hotel was built in 2003 and boasts beautiful en-suite bedrooms. Cambridge and London are both just 30 minutes by train. Situated in the pretty Chiltern village of Chenies, the Bedford Arms dates from 1860 and was once owned by the Duke of Bedford. The hotel boasts two bars and an oak panelled restaurant. The 18 en-suite bedrooms include two four-poster suites. 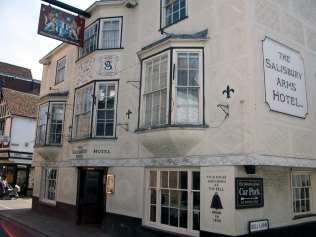 The Salisbury Arms may be the oldest hotel in Hertford, but offers all modern comforts. The hotel boasts a great central location, elegant bedrooms, two cosy bars and serves traditional British cuisine. 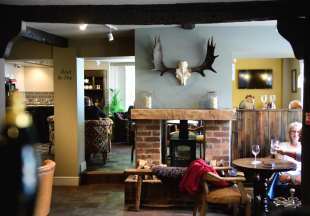 This lovely village pub, full of charm and character, has been revamped into a modern country inn with a friendly bar, great food and chic bedrooms. Once a farm house and home to Sir John Thurloe, secretary to Oliver Cromwell, this attractive hotel boasts a contemporary and stylish decor whilst retaining the character and history of the building. The hotel's restaurant serves a wide range of dishes whilst the bar and lounge areas offer more informal dining. Close to the A1, the Cromwell is a perfect base from which to visit Knebworth Park and other attractions in Hertfordshire. 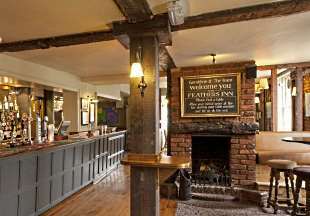 This 17th century former coaching inn oozes history and charm with its exposed brickwork, old beams and log fire. The inn boasts a great location in the pretty village of Wadesmill and offers a friendly bar, restaurant and comfortable en-suite bedrooms. 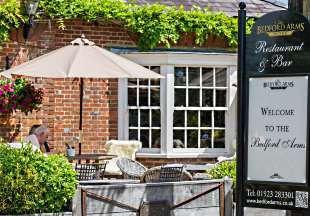 Welcome to our handpicked selection of some of the best hotels and inns in Hertfordshire. Only 20 miles north of London, Hertfordshire has much to offer with bustling towns such as Welwyn Garden City (not to be confused with the village of Welwyn), historic villages and pretty countryside. Children of all ages will enjoy the Warners Bros. Studio Tour near Watford. Ancient St Albans has its roots set in Roman times and boasts an impressive medieval cathedral. Hertfordshire is home to some outstandingly beautiful villages and with central London easily accessible, why not stay in the country within easy reach of the city? 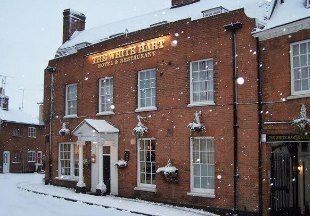 The 17th century White Hart is just 20 minutes by train from Kings Cross. Whether you are looking for a cosy inn, country hotel or gastro pub, you will find your perfect hotel or inn in Hertfordshire here! "Hertfordshire is just 20 miles from London, but can feel like a world away! 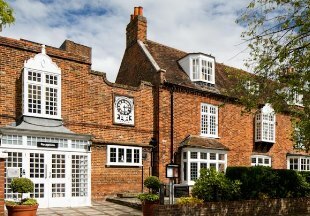 Stay at The Wellington in the ancient riverside village of Welwyn, for example, where the 13th century meets contemporary style and design! The six luxurious boutique rooms, popular restaurant and bar at this AA 5 Star inn incorporate gorgeous original features..."
Hertfordshire is bordered by Bedfordshire, Cambridgeshire, Essex, Buckinghamshire and Greater London. 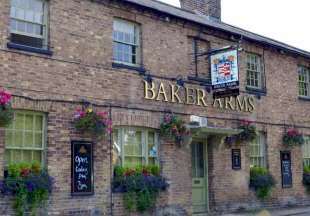 If you want to widen your search, why not browse through our selection of hotels and inns in Bedfordshire, Cambridgeshire, Essex, Buckinghamshire and hotels in London.